What made you decide to pursue a career in appraising? Becoming an appraiser seemed to be the next logical step in a career progression. I spent my early years in the industry learning about gems and jewelry and refining that knowledge in a practical laboratory setting. I then spent years teaching and learning from students who had either come from the jewelry industry or hoped to find new employment in the jewelry field. Through that experience, I became aware of the full range of possible industry occupations and began to recognize the traits one should possess to be successful in those varied jobs. As Director of GIA Education, I realized that I enjoy managing data and paying attention to detail. In the retail phase of my career I learned to appreciate, first hand, the importance of gemological knowledge in communicating the value of a piece of jewelry. I encountered many appraisals, some well done and others lacking in detail and accuracy. I decided that my accumulated experience and aptitudes, as well as my interests, lend themselves to appraising gems and jewelry. What period of jewelry is of the most interest to you and why? My favorite jewelry period is Art Nouveau. I find jewelry from this period to be uniquely attractive. The flowing lines, asymmetry and mythical motifs are part of the appeal but one cannot consider any jewelry period without thinking about what was going on in science, exploration, society, politics and technology and how these seemingly unrelated areas influenced each other. Do you have a favorite piece that you've seen over the years? I've loved a number of Lalique jewelry pieces that I’ve seen over the years. It would be difficult to pick just one. The ones I like the most often, surprisingly, do not include gems. If you weren't in this business, what would you be doing? I have trouble imagining, after 30+ years what I might do for a living if I were not in the jewelry business. I don't plan on finding out. 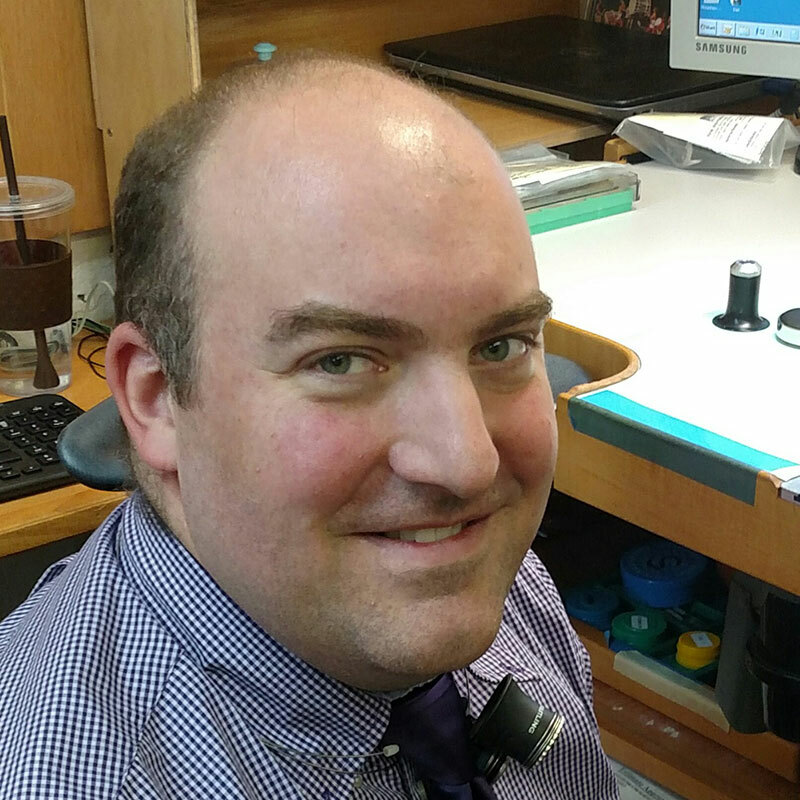 Dan Campbell earned a Bachelor of Science degree in Geology, from the University of Delaware, is a Graduate Gemologist (GG)(in residence), from the Gemological Institute of America (GIA) in New York and is a Fellow of the Gemmological Association of Great Britain (GAGB). Mr. Campbell has worked in the gem and jewelry field for 30 years. He worked in GIA's Laboratory in the diamond grading and identification/research departments, helped to develop the methods and terminology used in the grading of fancy color diamonds and has taught thousands of students as an instructor of the GIA and later as the Director of GIA’s New York Education Center, where he contributed to the gemological course material. In more recent years, Mr. Campbell has applied his experience to the selling of gems and jewelry, often traveling the country. 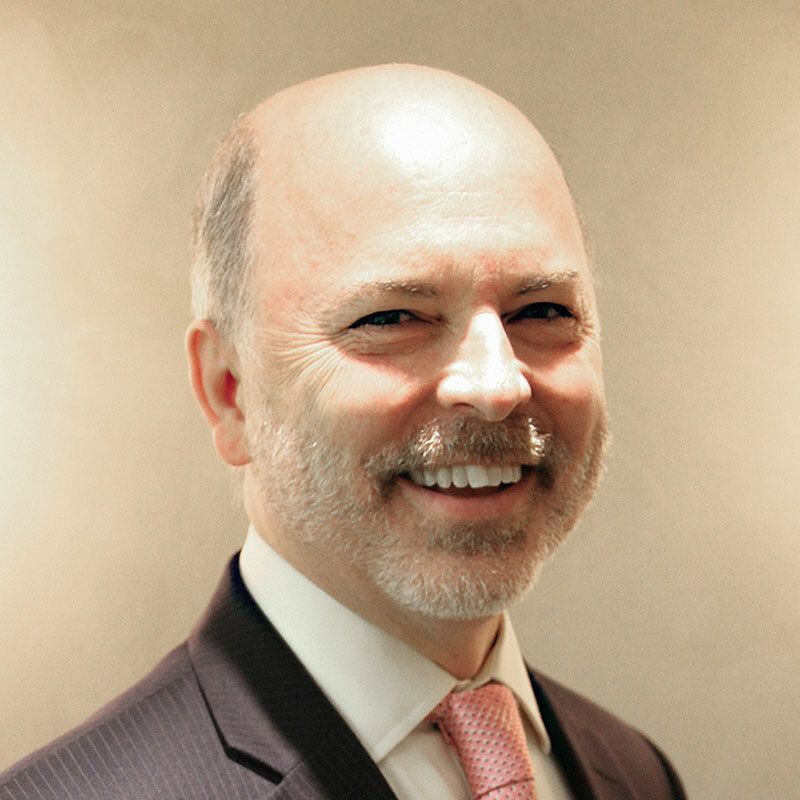 Mr. Campbell is a Certified Member of the National Association of Jewelry Appraisers (NAJA) and the Manhattan Chapter of the GIA Alumni Association, where he has been asked to speak on numerous occasions. To ask Dan a question or to schedule a visit, please email us: Ask here and he will reply within 24 hours! After attending Penn State, Eric wanted to find a career that complemented his love of 'taking things apart' and seeing how they function. After some encouragement by a family member working at the world acclaimed Lititz Watch Technicum in Pennsylvania, he was guided towards a newfound love for watches. Known internationally for "Teaching the Art of Swiss Watchmaking", the school was established in 2001 by the Rolex Watch Company as their contribution towards addressing a major challenge that concerns the entire watch industry – the shortage of watchmakers who are qualified to service high-end brands. Eric quickly embraced the curriculum, diving deep into the 3000+ hour program and enjoying everything from manufacturing, to reconditioning case components, to learning the fine points of estimating and diagnosis, to client service skills. To complete the Lititz Watch Technicum requirements, which included all aspects of the WOSTEP (Watchmakers of Switzerland Training & Education Program) certification process, Eric took part in the comprehensive 3-day exam covering all aspects of practical and theoretical watchmaking. He graduated in 2007 and enhanced his credentials with a certification by the AWCI, American Watchmakers and Clockmakers Institute. This certification, called the CW21 (21st century certification), requires that a watch repair specialist has proven to a board of professionals that he or she has the skills expected to preform quality repairs on the material for which they are certificated. With these prestigious certifications in hand, Eric came to Hamilton in 2007 to join Hamilton’s Princeton-based team of watchmakers. Perhaps it was a childhood love of Legos and Transformers, or simply his very mechanically minded nature, Eric's watchmaking talent is now second-nature to him. Specializing in Patek Philippe, Rolex, Breitling, Cartier, and Omega watches, Eric enjoys educating clients and fellow employees (and anyone else who shows any interest!) about the inner workings of fine timepieces. It's not uncommon to see Eric in the Princeton showroom assisting clients with their watches and teaching guests about features and benefits. Hamilton is recognized for outstanding education and training for all watchmakers and jewelers, and it is this expertise that clients enjoy from the team. To maintain his credentials, Eric undergoes continuing training from many of the world’s finest brands and is often part of ongoing audits by these brands to be sure Hamilton is meeting their rigorous standards. When asked about his favorite task relative to watchmaking, Eric replies, “When a watch is not running, one of the most rewarding things is installing the balance and watching the piece come to life!" While a specialist in both vintage and modern timepieces, Eric favors working on modern watches because of their consistency and the innovations in design and materials that most watch enthusiasts rarely get to enjoy. Looking ahead, Eric is always on the lookout for a complicated Patek Philippe to work on, and enjoys the prospect of frequent training and education. Do you have a question for Eric? Ask here and he will reply within 24 hours! 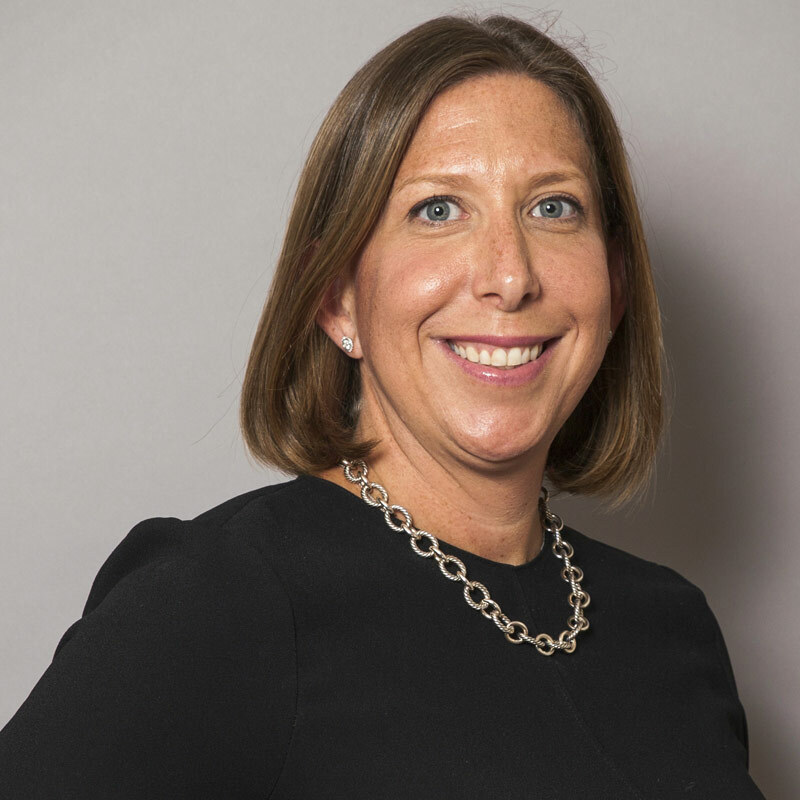 Terri began her Hamilton career in 1999 as a Customer Service Associate and worked her way through the ranks to achieve the title of Flagship Store Director in 2006. Ms. Goldsmith has a Bachelors of Science in Business from Rider University and is a Diamond Graduate from the Gemological Institute of America.Ask here and she will reply within 24 hours!